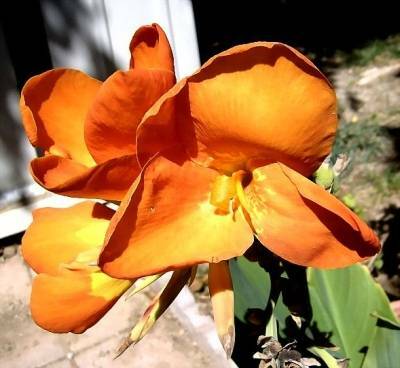 Canna 'Orange Punch' is brilliant orange with yellow at the center. 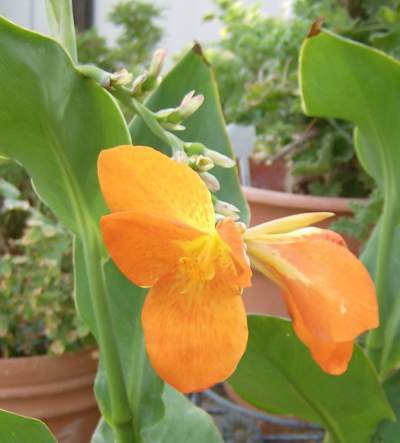 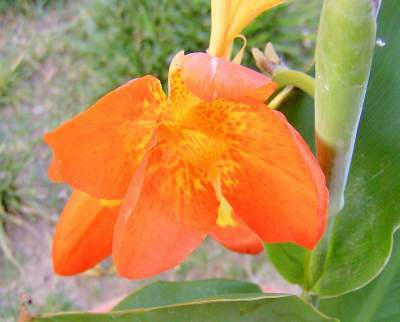 Canna 'Orange Punch' has intense orange and yellow flowers. 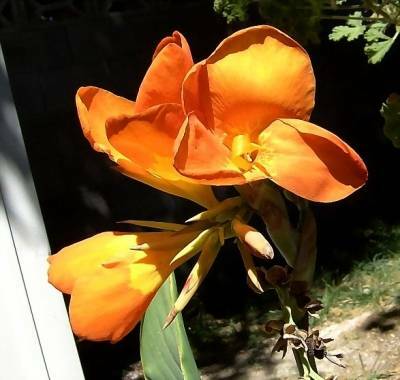 Canna 'Orange Punch' is always in bloom.